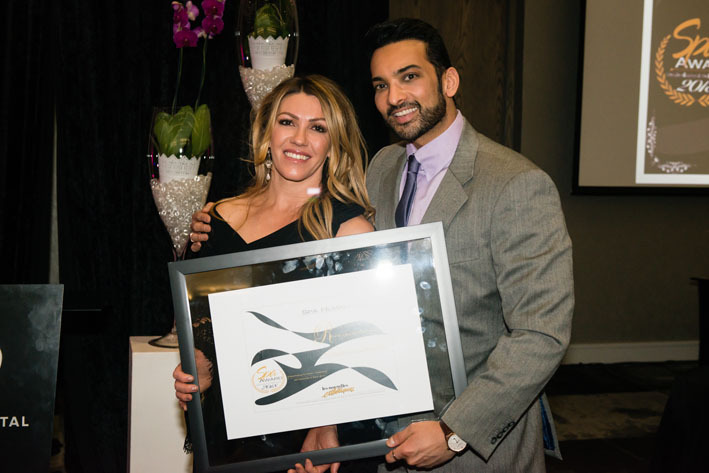 The 14th annual Les Nouvelles Esthetiques Spa Awards hosted by Les Nouvelles Esthetiques South Africa in association with Les Nouvelles Esthetiques Paris, at The Capital on the Parks on the 29th July 2018. 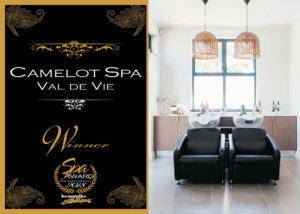 Through the success of the previous awards, the Les Nouvelles Esthetiques Spa Awards increases in its stature each year, providing the South African and International Spa Visitors and Media with a comprehensive choice of award winning spas, and a reliable source of spa information and recommendations, within South Africa. The Les Nouvelles Esthétiques awards programme encourages the highest standards within the Spa & Wellness Industry. The awards have been designed to stimulate a desire for service excellence among South African Spas. 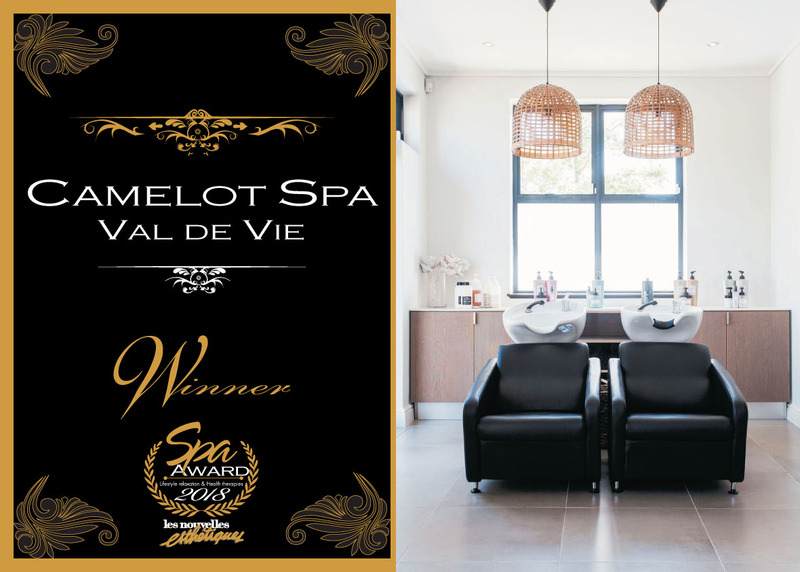 Finalists: Shambala Wellness Spa in Walmer, Port Elizabeth. Shambala means a Place of Peace, Tranquillity and Happiness. In Tibetan Buddhist lore, Shambala is a mystical land, hidden in the snowy peaks of the Himalayas, a society where people labour constantly for the good of humanity. This perfectly expresses their ethos – lifting spirits, creating pleasure, a sanctuary in the middle of the city, a realm of escape. Revive Wellness Spa, conveniently located in Highlands North, Johannesburg. All inspired treatments have been created with rejuvenation and relaxation in mind, promising every guest a pure wellness treat. Revive Wellness Spa has 14 treatment rooms and caters for all your nail, hair, skin, body and aesthetic needs. They offer ozone therapy and a choice of a state of the art floatation pool or an indoor heated pool experiences, Rasul chamber and steam room and a decompression lounge to ensure complete relaxation. Placecol Spa situated in Randburg, Johannesburg is a unique concept, where the Spa environment is an oasis for body, mind and soul. Where pampering and outer beauty together with spiritual nurturing, compliment one another and bringing about the true beauty of each individual. 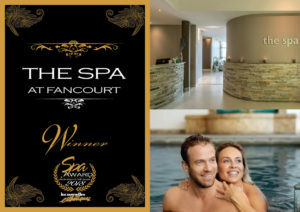 Winner: The Spa at Fancourt is located on the Fancourt Estate in George. Its range of holistic skin and body treatments are complemented by hydro facilities, which include a Roman Bath and jacuzzi, sauna, steam room and tepidarium. Infused with an appreciation for nature’s organic rhythms, each treatment package encompasses an aspect of each of the elements to provide a holistic experience. 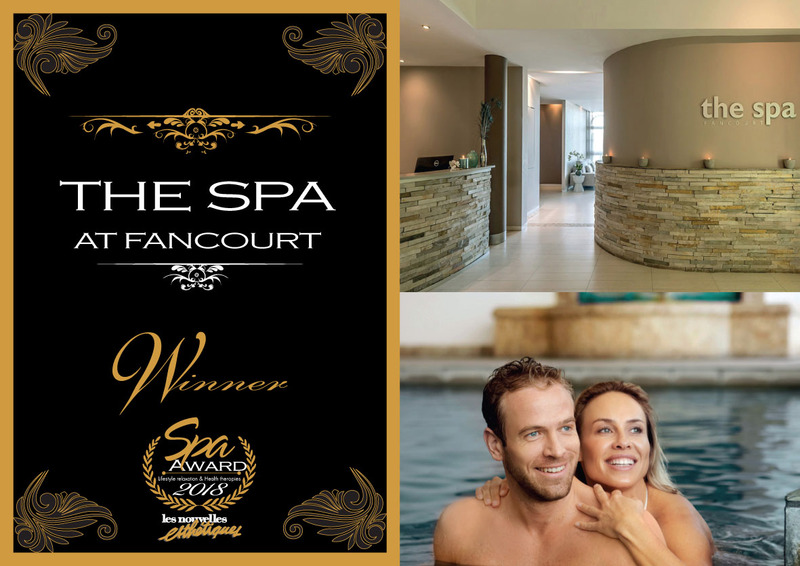 Finalists: Lanzerac Spa where you can indulgence in the heart of the Cape Wineland. As part of the large-scale refurbishment of the grand and historic Lanzerac Wine Estate, the Lanzerac Spa has been completely rebuilt and reimagined. The newly redesigned building, which overlooks the towering Jonekershoek Mountains offers superior amenities and unrivalled views. The interiors bring a natural yet contemporary feel to the space, with layered textures and colours prevailing. Evolve Spa at Premier Hotel, OR Tambo is a hidden gem, a contemporary urban sanctuary situated in the heart of Boksburg, Johannesburg. They offer a comprehensive range of services filled with value-for-money treatments to meet the needs of the most discerning guests. Offering a wide range of up-to-date beauty and wellness services and additional facilities such as rasul chamber, indoor and outdoor relaxation areas, heated pools, restaurant and Hammam. The Hydro & Spa at Badplaas, Forever Resorts offers a variety of treatments, products and hot spring pools. It is an ideal place to rejuvenate and recharge. All treatments are done using the natural spring water, which contains 32 minerals. Facilities include 5 treatment rooms, manicure and pedicure stations, sauna, Jacuzzi and extensive therapeutic mineral pool facilities to soothe and rejuvenate the body. Winner: Views Boutique Hotel & Spa with the warm Indian Ocean waters playing at its feet, Views Boutique Hotel & Spa is an idyllic paradise from which to unlock the secrets of South Africa’s famed Garden Route. Perfectly situated, on a beach front dune on Wilderness Beach, offering panoramic beach and ocean views. 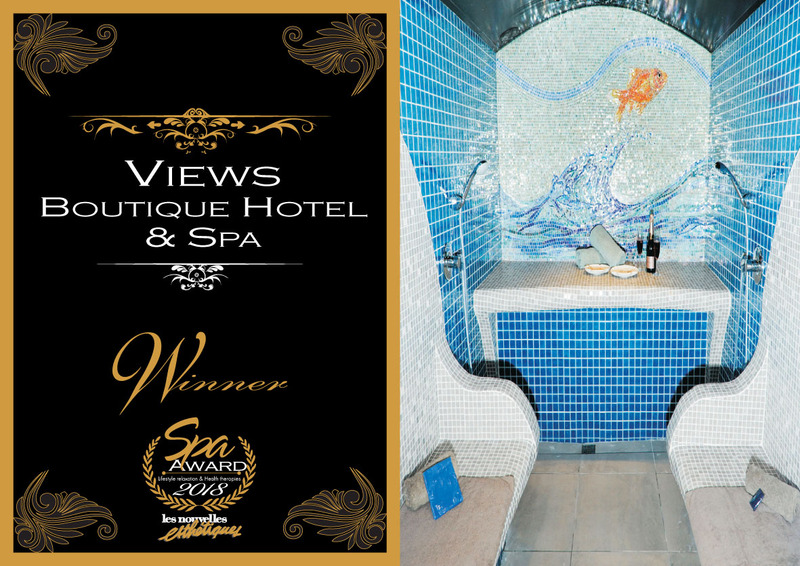 The Views Spa & Gym offers 5 treatment rooms, separate manicure and pedicure stations with breath taking ocean views, a Tylarium Herbal Sauna, Vitality Pool and Moroccan-style Rasul Chamber and a fully equipped gym including both cardiovascular and weight training equipmen. A tranquil oasis designed to uplift, revive and refresh. Indulge in a therapeutic massage and nourish your body with one of our revitalising skincare treatments. Finalists: Silver Forest Spa is a luxurious and tranquil private Boutique Lodge and Day Spa, located on the slopes of the magical Helderberg Mountain in the Cape Winelands. Offering a refined experience and an escape from the ordinary, guests are embraced by the nurturing effect of being surrounded in nature, succumbing to the peace of the surroundings. The Day Spa, offer a comprehensive array of treatments, complemented by use of the exceptional Thermal Suite. The Silo Hotel Spa, located on the fourth floor of The Silo Hotel. The Silo Hotel sets a new standard for luxury Cape Town hotel accommodation. The hotel has been built in the grain elevator portion of the historic grain silo complex occupying six floors above Zeitz MOCAA (Museum of Contemporary Art Africa). The Spa has five treatment rooms, couple’s rooms, gym, sauna and a dedicated manicure and pedicure area. Enjoy signature treatments using top international products including Carol Joy, Ling and Black Pearl. 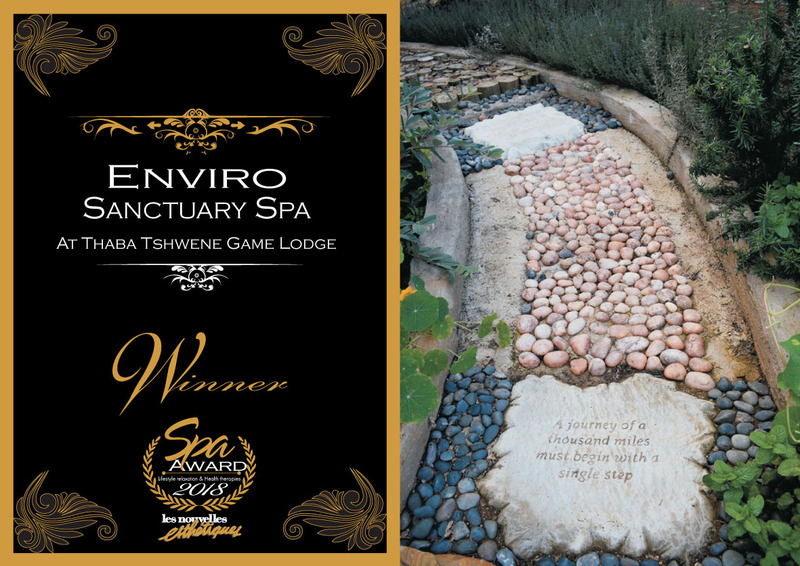 Winner: Enviro Santuary Spa at Thaba Tshwena Game Lodge, is a restorative sanctuary and destination spa, which is eco-friendly and lends itself to the natural backdrop of the Buisfontein koppie near Klerksdorp. The Spa has adopted a relaxing, spiritual nature where guests cn escape the husle and bustle of their everyday lives. Each treatment room has been designed to incorporate the natural hearing powers of nature, colour and space of movement. The guests can not only enjoy the relaxing aspect but also self healing on the Reflexology Sensory Path, Grounding Route, Spiritual Mediation in the Labyrinth or simply taking in the breath-taking views. Finalists: Fusionista Spa – a combination of different worlds, with an eastern flair in Randburg. The spa boasts a number of themed roomed – the bamboo room, wind chime room, Koi mist, candle room, and outide treatment room with a glass floor and koi fish swimming below. Tradlitional thai massage is a signature, but the menu of other offerings is extensive. After you spa visit, also enjoy a signature thai dish at the restaurant. Yadah Castle – Hammam Turkish Spa & Bath – Pretoria. Guests receive a warm welcome upon arrival; candles are lit, soft lighting, priceless antiques and art adorn the walls are for guests eyes to feast on, while the touch of Persian carpets and comfortable pillows are for everyone to relax and unwind from all the tensions of the outside world. Their vision is to create an extraordinary ambiance that will transport guests to an exotic foreign land, whilst exciting all of the senses and embracing a unique spa. Puri Thai Spa – Sandton. Puri means “wisdom” in Thai, and we want to bring to South Africa the wisdom of experiencing ancient Thai massage the way it’s practiced in modern Bangkok — clean, professional, stylish and affordable. We aim to make it possible for you to make massage part of your normal routine and experience the full benefit of receiving a regular massage from our professionally trained therapists. Bakwena Day Spa, located at the Velmore Hotel Estate in Centurion, Bakwena Spa offers half day, full day, evening packages and multiple treatments. Bakwena Spa offers an innovative and creative approach to spa therapies, so creating a relaxing, welcoming and enjoyable environment for all guests. 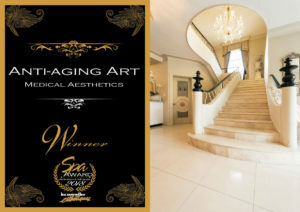 Winner: Anti-Aging Art Medical Aesthetics is a Medical Aesthetic and Holistic Wellness Centre focusing on minimally invasive anti-aging and cosmetic treatments conveniently located in the heart of Houghton, Johannesburg. 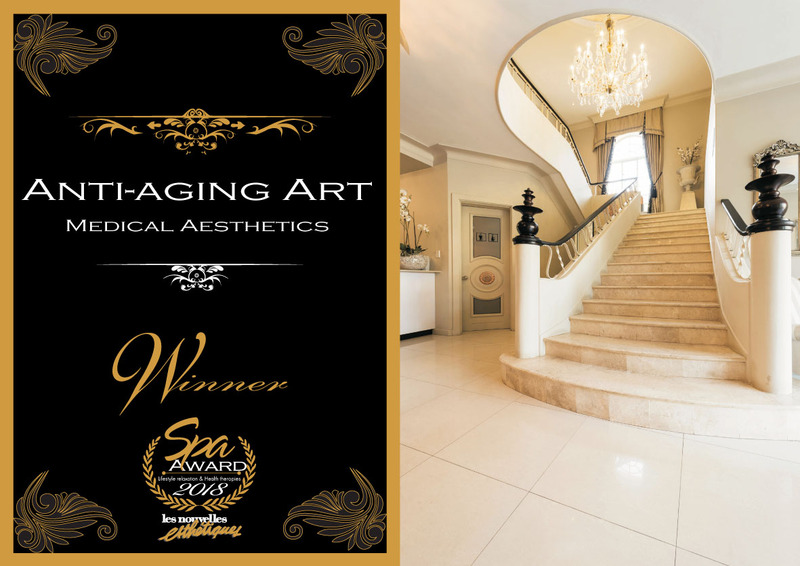 Anti-Aging Art is managed by the dedicated and well-known duo of Dr. Reza Mia and Dr. Elfrieda Fourie who are experienced in cosmetic and aesthetic anti-aging treatments and are supported by a staff of qualified therapists. The Doctors take the time to educate and explain all procedures to help you make​an ​informed and considered decision. By listening to the clients individual needs, they are able to develop a tailored treatment plan to achieve your desired results. The centre specializes in offering a full range of medical anti-ageing treatments including injectables, botulinum toxin, silhouette soft threadlifts, laser hair removal, dermapen, facial rejuvenation and skin resurfacing. Finalists: The Laser Beautique – Bedfordview and Melrose Arch Branches The Laser Beautique was established in 2009, and currently has 12 branches situated in Cape Town, Centurion, Johannesburg and Pretoria. Their primary focus is to offer the safest, most advanced and effective treatments. The Laser Beautique is committed to the safety and well-being of their clients, to constantly evaluate unique and new technologies in the global aesthetic market and offer clients the very best in pioneering and effective treatments using laser, light-based and radiofrequency equipment. During the consultation clients concerns and expectations are thoroughly discussed with an explanation of all possible methods of non-surgical make over. Medi-Sculpt Clinic located discreetly on the Featherbrook Estate in Krugersdorp, specializes in enhancing your natural beauty … and still look like you. With over 15 years medical cosmetic experience, Dr Anushka Reddy and her team accurately assess and develop a personalised treatment plan tailored to your needs, expectations and budget. “We focus a large amount on the actual spas, however there are a number of individuals, as seen by the impressive list of nominees, who go above the call of duty and through their work the entire industry benefits. 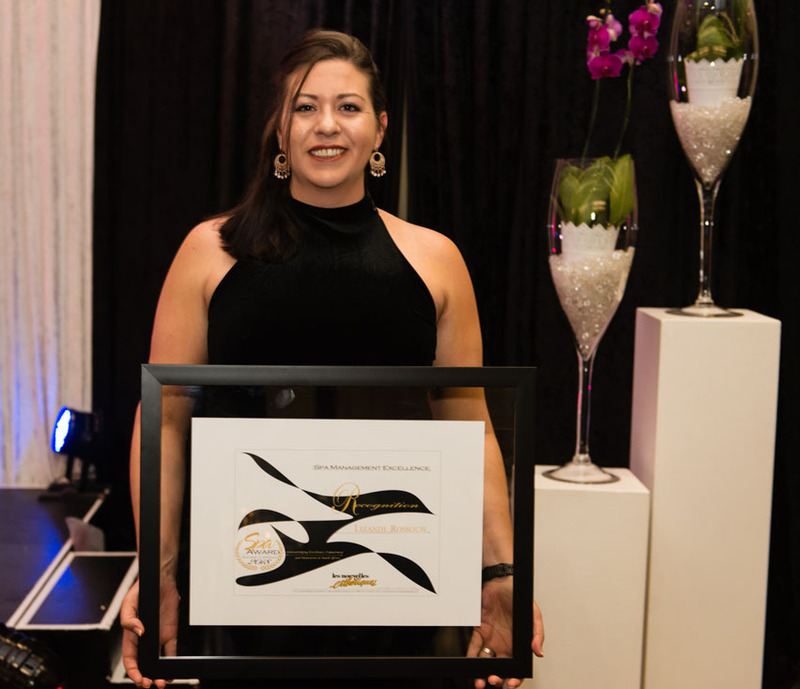 The Spa Recognition Awards, are a true reflection of the Spa Industry’s opinion, as individuals are nominated and voted for by the spa industry in their individual categories”, said Dr Nadine de Freitas. These Spa Recognition Awards include four categories, The Spa Ambassador Award, The Humanitarian Award, The Spa Visionary Award and Spa Management Excellence Award. The Spa Ambassador Award goes to a person who has made the industry proud and whose presence in the industry is noted. The Spa Ambassador Award 2018 was awarded to Tatjana Mihajlov-Pilbeam – Go Beauty. In 2013, Go Beauty was the first innovative mobile phone app for booking beauty treatments in SA. Almost 5 years later, GoBeauty connects hundreds of spas with thousands of local customers. The platform provides spas with a host of services designed to increase revenue streams, enabling customers to find beauty places and services, view facilities, read reviews, book online and buy gift vouchers. The Spa Humanitarian Award is awarded to a person / group who by definition is actively concerned in promoting human welfare. 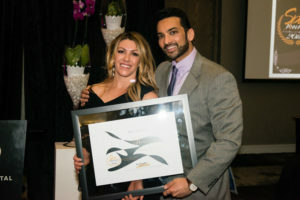 The recipients for 2018 is Dr Reza Mia and Dr Elfrieda Fourie from Anti-Aging Art Medical Aesthetics introducing Project Restore, aimed at providing aesthetic medical treatments to people who have suffered from conditions ranging from scarring, injuries to facial deformities, who cannot afford treatment. “As a Medical Doctor, it is increasingly meaningful to me that aesthetic medicine has reached a stage where we can make such big changes, to people living with these types of traumatic injuries, without surgical intervention” Dr Reza Mia. 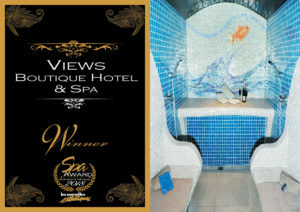 Spa Visionary Award is awarded to a pioneer within the Spa Industry. A person who whose ideas over the past year have lead to a change in the spa industry or spa industry thinking. 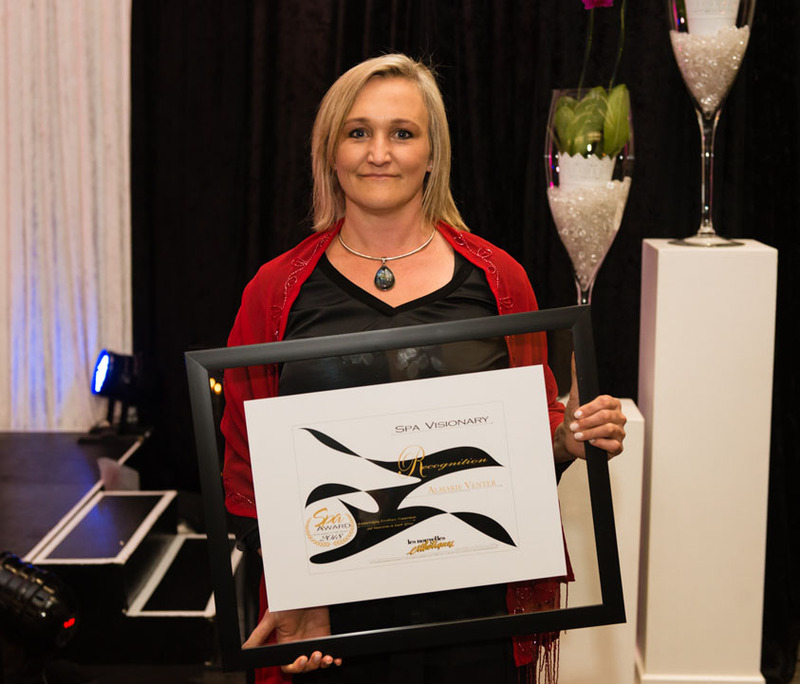 The Spa Visionary Award for 2018 was awarded to Almarie Venter – an internationally certified Kinesiologist, Brain Gym ® Practitioner and Holistic Consultant for Spas. With over 12 years of experience in health, spa and wellness industry, Almarie effortlessly integrates holistic modalities in her hands-on training creating unique protocols using kinesiology, crystal therapy, energy healing, acupressure, vibrational sound, meditation, mindfulness as well as neuro-integration techniques allowing spas to embrace the holistic wellness needs of their clients. The Spa Management Excellence Award is acknowledges the dynamic spa manager who best keeps the balance between a motivated team, good working environment, superb guest experience, profitability, and efficient spa operations, with appreciation of the role of the spa manager is one of the most challenging in this industry. 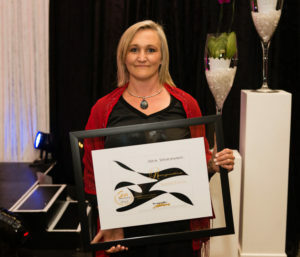 The winner of the Spa Management Excellence Award 2018 was Lizande Roussouw – Lanzerac Spa. Lizande has led her team with motivation and enthusiasm through the difficult times of large scale construction while balancing customer expectations and service excellence. We look forward to hosting the Spa Awards in 2019 and Spa Recognition Awards 2019, as South African Spas and individuals continue to flourish in an internationally growing market place.